Our department has sufficient facilities, which can provide students with internship places equipped with software and hardware assistance including system integration and micro-processor laboratories. In addition, students have easy access to two project workrooms aimed at improving their professional abilities. 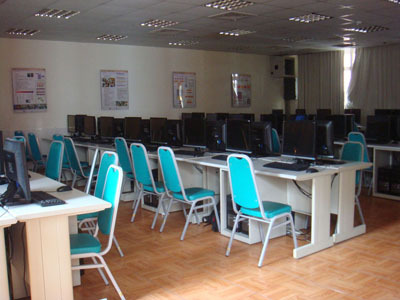 To offer undergraduates a proper learning environment, our department also provides them with two computer classrooms and two internship and micro-processor laboratories. Night school students have easy access to the same facilities. Furthermore, seven laboratories are exclusively for the faculty. The C301 computer classroom. 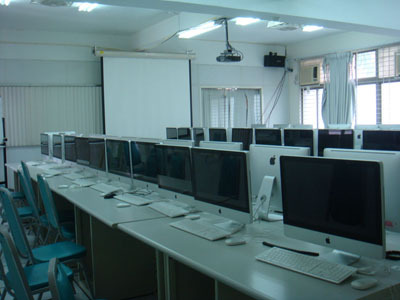 There are 60 computers in C301 classroom, each computer equipped with Intel Core 2 Quad 2.4GHz CPU and 19 inches monitor.